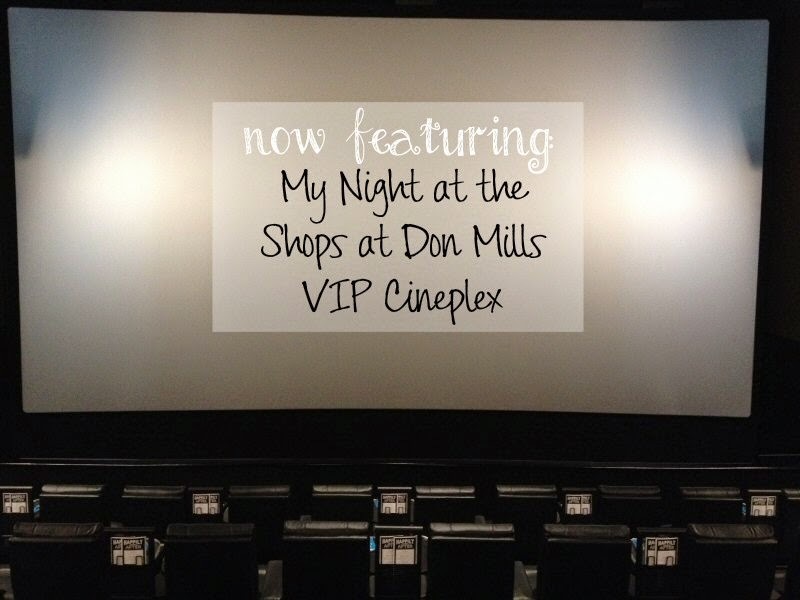 When I first heard that a theatre was opening at the Shops at Don Mills, I was ecstatic. It is one of my favorite places to shop. It's a fully outdoor mall and there is such a variation of stores and restaurants offered. So the VIP Cinemas just opened up and I knew that I had to go! Many of the blog posts on this have involved bloggers having been invited to events to celebrate the opening. I was not invited to these and went with my own Scene points and money. I just want to give my GTA (general Toronto area) readers a heads up on this glorious place! My husband and I decided to do a date night to try the new theatre out. First of all, it's adults only. This does not mean that everyone knows how to shut up and watch a movie, as witnessed by the senior citizen beside me who would not stop talking to her family and checking her phone every ten minutes. But I am sure that is a rare occasion and I always have the luck of it happening to me. Or the kid kicking the back of the chair, which can't happen here. Whew! The seats are divided by twos and have a lot of legroom between them and the row in front of you. Why? 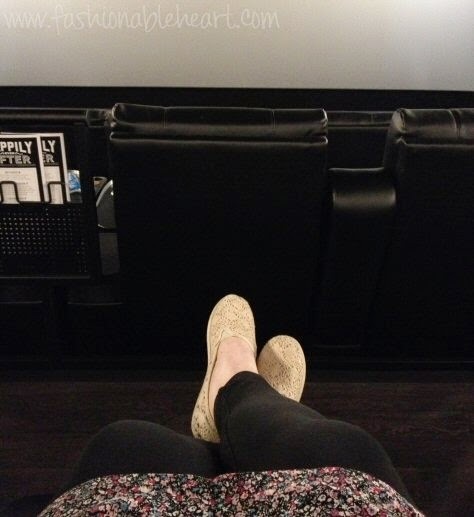 Because the seats recline in theatres 4 and 5, just by the touch of a button located under the table armrests. The armrests go up for cuddly time on date nights and the side table slides out for your food. The food comes to you with in-seat service and yes, a tip is expected. They also accept gift cards during ordering, which is what we did. 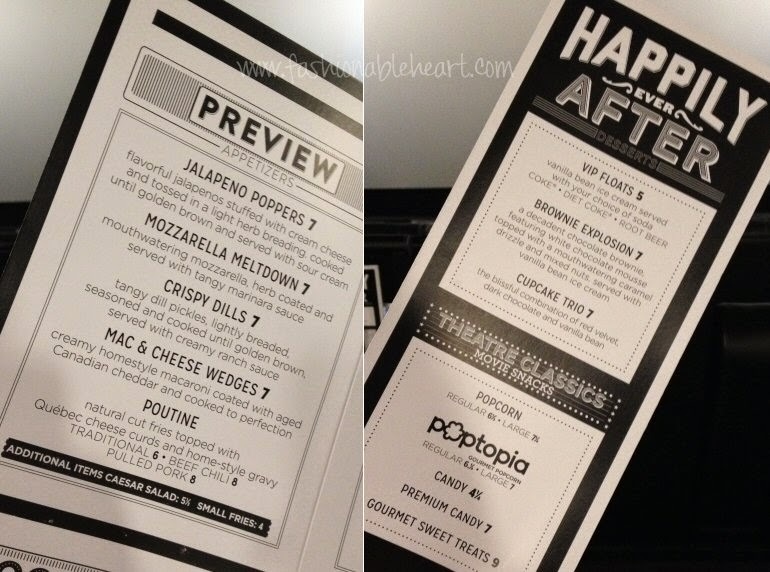 We ordered the Crispy Dills, Mozzarella Meltdown, and popcorn. While I had a soda, my husband went all out and ordered a root beer float. I can assume the float was good, because I looked over after a moment had passed and he had sucked it dry. The cheesesticks were ok, but the fried pickles? Star item. Seriously, I want some more of them right now. 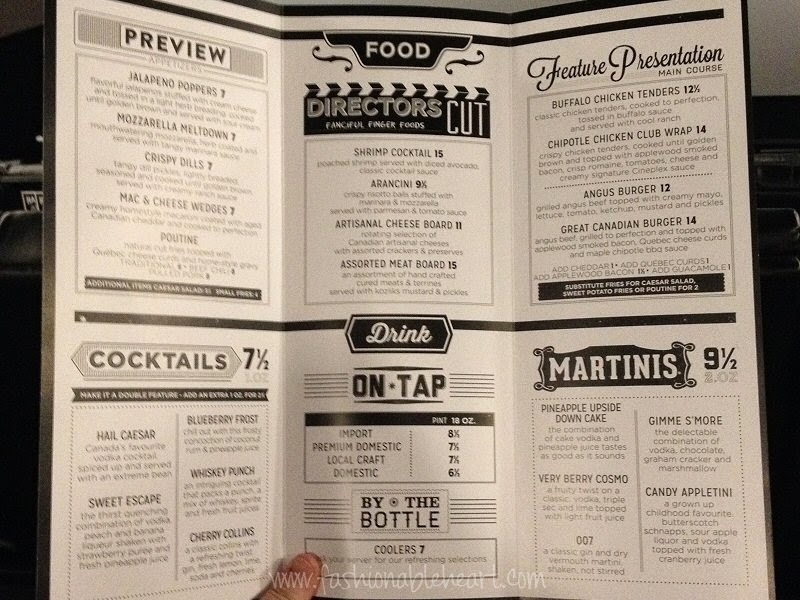 There is also a concessions stand upstairs, but they do not offer the same items as on this menu. And being adults only, they do serve alcohol. I don't drink, but some of the drink descriptions sound delicious. I mean, Pineapple Upside Down Cake Martini? I bet that is fabulous! While using gift cards on the food, we also had a BOGO movie coupon and I had plenty of Scene points. I went online and put in the code for the BOGO and then used 1,000 of my Scene points to cover it. On a Sunday showing that costs $25 each, I paid nothing. Fridays, Saturdays, and Sundays are $24.99, other nights cost $19.99, with Tuesdays costing $14.99. It is pricey, but I suggest using your coupons and Scene cards. With our two tickets being free and using gift cards on our food, our date night cost us about $4 at the end of it all. So save up those Scene points and use them on VIP or IMAX. Totally worth it! Also, I recommend ordering your tickets online. They allow you to pick your seats and this will ensure that you get the spot you want and it keeps you from having to stand in a possible line-up. The process is easy! Then, your ticket will show your row and seat numbers. And after all of that, I was ready to kick up my feet and watch Guardians of the Galaxy! A two hour movie in total luxury? Don't mind if I do. This might have ruined every other movie theatre for me. P.S.- How amazing is GotG?! I loved it so much more than I thought I would. And now I want all things Groot and Rocket! I wish we had a theater like that here!!!! Especially that served cocktails! We usually only go to a movie theater if it is something we are DYING to see, or that is better in IMAX/3D. So, we don't go out to the movies very often. 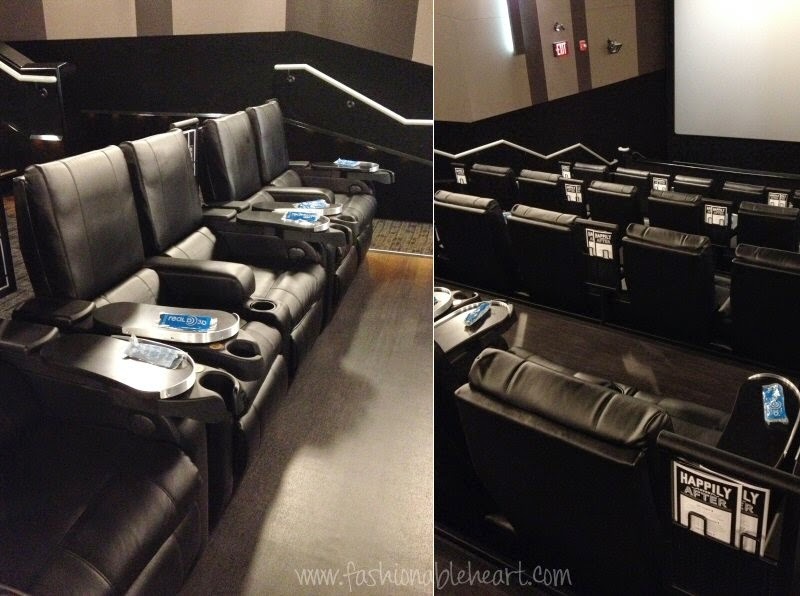 But if we had a setup like this one, we definitely would go out to the movies more!!! Sounds like it was a fab date night!